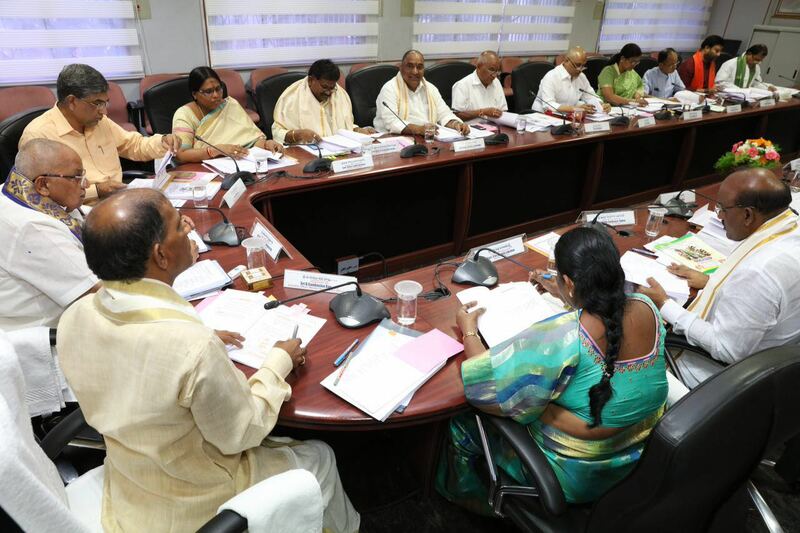 Tirumala Tirupati Devasthanams (TTD) board has approved development works worth Rs 20 crore at a board meeting held on Tuesday at Annamaiah Bhavan under the Chairmanship of Ch Krishnamurthy. The approved projects include a new block with six operation theatres in TTD-managed BIRRD hospital at Tirupati , construction of SVBC studio and office at a replica TTD temple near Alipiri and a Kalyana Mandapam in Prakasham district. About Rs 4.22 crores are allocated for the hospital block, Rs 14.50 crores for the SVBC studio and Rs1.25 crores for the Kalyana Mandapam. Other projects that got sanctions from the board include renovation of Sri Sringara Vallabha Swamy temple at Peddapuram in East Godavari and Rs.31.25lakhs for repairs of Sri Vallabha Narayana Swamy temple at Amudalavalasa in Srikakulam districts. The meeting also gave approval for the procurement of ingredients and supplies worth rs 50 crores for the free meals program and temple prasadam preparation at the Tirumala Tirupati Temple. This includes procurement of 3.75lakh kilos of cashew nuts at a cost of Rs.25crores for six months, 36 thousand kilos of cardamom costing Rs.3.99cr for 4 months, 4.40Lakhs kilos of jaggery worth Rs.7.05crores, towards the procurement of 9.18lakh kilos and 6.12kilos of sona masuri rice from AP and TS Rice Millers Association respectively. Other decisions include inclusion of Tirupati-based Meghana Multi Specialty Dental Hospital and JC Dental hospital among the list of hospitals providing medication to retired, in service employees and their family members, extending license to the shops provided by TTD to run Dharmic, Banks and Media offices, enhancement of Night Halt Batta and kilometer batta to TTD drivers among others.